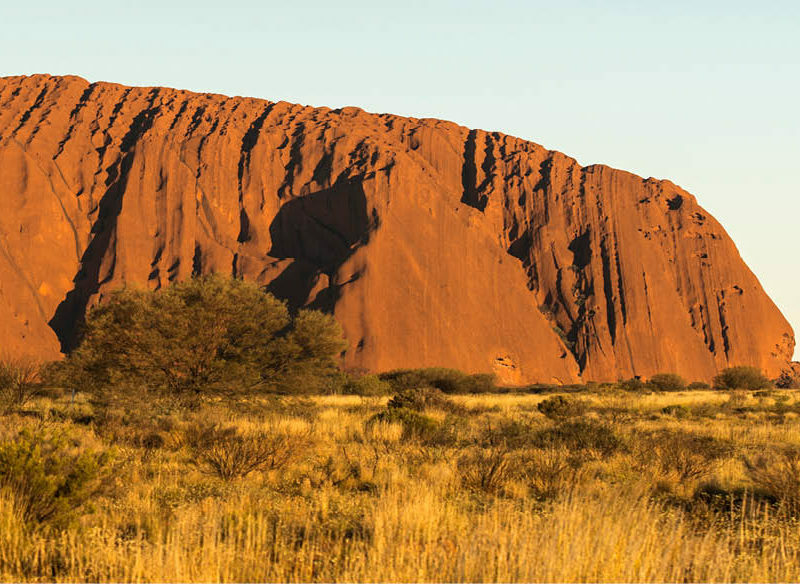 Be mesmerised by the magic of a Red Centre sunrise and delve into the ancient history of Uluru and Kata Tjuta. The outback is an amazing and adventurous destination that most Australians dream of exploring at least once in their lifetime. This Northern Territory outback special includes incredible experiences and accommodation options that will help to make your outback holiday everything you’d hoped for. Mt Borradaile is a remote 700 square-kilometre, exclusively leased Safari Lodge nestled against the Arnhem Land escarpment. This landscape of rugged ranges is fringed by idyllic billabongs, boasting a stunningly beautiful wilderness and the cultural landscape of the Aboriginal people. Valleys, overhangs and caves have been occupied for 50,000 years with world-class galleries of rock art, and occupation and burial sites. To the traditional owners, Mt Borradaile is a sacred place and the embodiment of ancestral heroes. Itineraries are flexible, with activities fully guided due to the sacred nature of the area. All ages will enjoy the bird watching; billabong cruises; barramundi fishing; rock art galleries; 4WD adventures; learning about bush tucker and medicine; exploring catacombs; paperbark swamps and rainforests; wildlife and exotic flora spotting; and swimming. All activities are within 30 minutes’ drive from the base camp and are included in the price. Relive the drama of the Bombing of Darwin Harbour that rocked Australia in 1942. Learn many of the experiences and stories of what happened that day through modern technology at the Royal Flying Doctor Service Darwin Tourist Facility. You’ll meet a life-sized hologram of Rear Admiral Etheridge Grant, the Commanding Officer of USS William B Preston; listen to mini interactive story-telling ghosts; see a full-sized replica of a Japanese Zero aircraft and Camilla the Flying Boat that escaped from Darwin Harbour; look through a window of 1942; get an aerial view of the bombing; read informative storyboards with photographs; and experience a virtual reality of the bombing of Darwin Harbour. Book online with promo code BODHOTG to save! Explore Australia’s Top End with Inspiring Journeys’ Kakadu’s Ancient Secrets and discover another side of the outback – a land of untamed wilderness, winding rivers, lush wetlands and spectacular wildlife. Begin your five-day journey exploring serene Litchfield National Park, where you can swim in the secluded pools of Wangi and Florence Falls. Spot beautiful birds and saltwater crocodiles with a morning safari cruise on the Mary River. Take in spectacular views of Kakadu National Park from Gunlom Falls and marvel at the iconic sights of Katherine River’s gorges and canyons. Be immersed in Australia’s heritage at the rock art galleries of Ubirr and Nourlangie and learn traditional Indigenous painting techniques. With Inspiring Journeys, you will delight in the benefits of boutique travel. Unwind in distinctive eco-lodges, enjoy the comfort of luxury 4WD vehicles and relax as our experts provide authentic experiences that create moments to last a lifetime. Explore our sacred heartland with Inspiring Journeys’ Outback Australia: The Colour of Red. 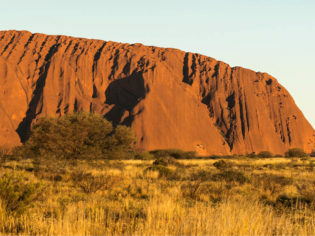 This five-day tour visits the Red Centre’s most iconic sites with stylish accommodation and meals that embody the destination. Be mesmerised by the magic of a Red Centre sunrise and delve into the ancient history of Uluru and Kata Tjuta. Enjoy a sunrise hike to the top of Kings Canyon and end the day with dinner Under a Desert Moon. Explore the West MacDonnell Ranges and walk through the dramatic Angkerle (Standley Chasm) and Simpsons Gap. Finish your journey in Alice Springs, where you will enjoy traditional bush tucker and learn about outback life. Territory Discoveries is the destination specialist of the Northern Territory with an experienced and knowledgeable team ready to help you plan a memorable journey. Territory Discoveries provides access to more than 2500 genuine outback experiences, from guided day tours to short breaks or extended journeys throughout the Top End and Central Australia. We can help you book great value hotels, lodges and bush camps, car and campervan rental, and can tailor to the independent or group traveller with varying budgets. Territory Discoveries connects you with the Northern Territory’s ancient Indigenous culture, incredible natural environment and unique outback experiences. We have no doubt you’ll treasure this wonderful place as much as we do.